Matthew Becker, W. Gerald Austen Endowed Chair of Polymer Science and Polymer Engineering at the University of Akron (UA), was inducted today by the American Institute for Medical and Biological Engineering (AIMBE) into its College of Fellows. Becker was honored for developing novel families of degradable polymers for use in additive manufacturing, regenerative medicine and drug delivery. Becker is a widely recognized scholar and innovator in organic polymer chemistry and biomaterials. Becker was elected by peers and members into the College of Fellows, which is among the highest professional distinctions accorded to medical and biological engineers. The College of Fellows is comprised of the top 2 percent of medical and biological engineers in the U.S. for their significant contributions to the field. 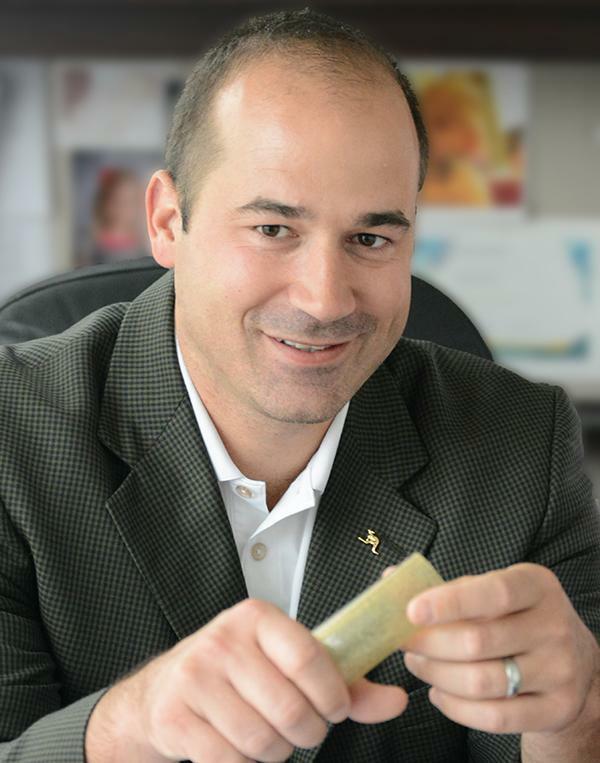 Two degradable polymer platforms from Becker's lab, developed for regenerative medicine and 3D printing, were recently exclusively licensed by 21MedTech from the University of Akron Research Foundation. At its onset, the deal represents one of the most significant licensing arrangements by the University in its 148-year history. Becker's pioneering research at UA into America's deadly opioid epidemic was awarded $2 million in December from the state of Ohio's Third Frontier Commission. UA is working with 21MedTech and pharmaceutical company Merck & Co., Inc. to commercialize a non-opiate degradable polymer mesh designed to control post-surgical pain while helping patients avoid potential addiction to pain pills. A formal induction ceremony was held during the AIMBE annual meeting at the National Academy of Sciences in Washington, D.C. April 9, 2018. Becker was inducted along with 156 colleagues who make up the AIMBE College of Fellows Class of 2018. The University of Akron (UA) is the region's most influential public research university, contributing to the resurgence of the local economy, providing a highly skilled workforce and known for an innovative approach to higher education. With more than 22,000 students and 300+ associate, bachelor's, master's, doctorate and law degree programs, UA offers career-focused and experiential learning. From polymers and psychology, to engineering and communications, to business and education, UA brings together distinct fields of study in ways that provide students with valuable real-world learning opportunities. To learn more, visit http://www.uakron.edu. AIMBE is the authoritative voice and advocate for the value of medical and biological engineering to society. AIMBE's mission is to recognize excellence, advance the public understanding, and accelerate medical and biological innovation. No other organization can bring together academic, industry, government, and scientific societies to form a highly influential community advancing medical and biological engineering. AIMBE's mission drives advocacy initiatives into action on Capitol Hill and beyond. For more information about the AIMBE, visit http://www.aimbe.org.